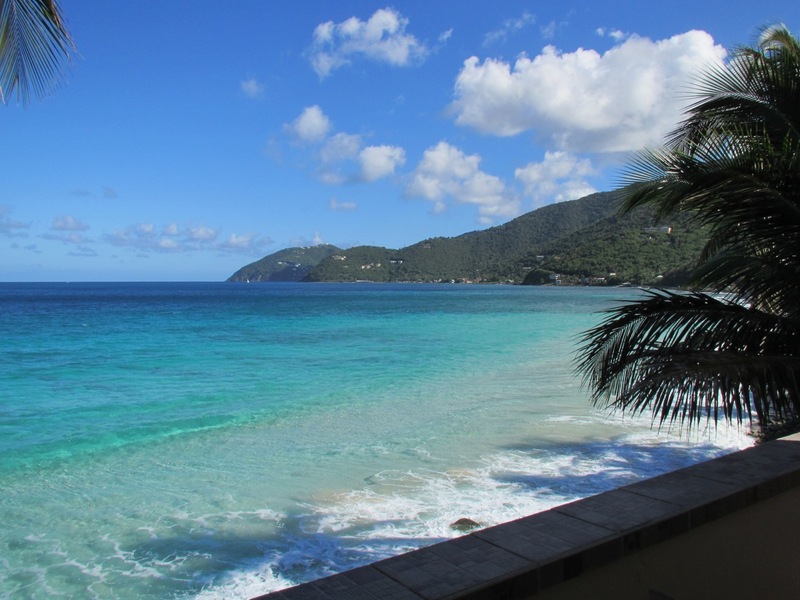 Sitting out back at Applesurf Villas in Apple Bay Tortola offers some of the most beautiful views you will find of the blue ocean, fishing swarming, birds flying, people enjoying the sun, wonderful sunrises and sunsets. Here are a couple from over the years. The photos are shots looking east from Applesurf Villa. Apple Bay is to the right with Sabastians and Bombas, then the Sugar Mill just before the bend. Carrot Bay is the next village east. The second jute where the mountain line rises is Cane Garden Bay. Notice how the sandy beach varies in the pictures. Apple Bay sand can disappear in days, but there is always a sandy beach with in walking distance. Regardless, stunning sounds and sites. Look out at the Sea; Hear it, Feel it and See it; Up Close and Private.